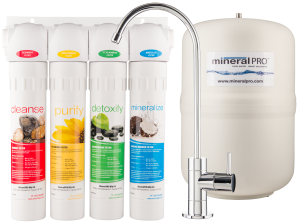 MineralPro's Alkaline and Mineral Booster Counter top unit is ideal for customers wanting the benefit of Healthy Mineral Water straight from their exiting facet system. Our Alkaline Booster Counter top unit connects easily to your kitchen facet and delivers optimum pH, mineralized great tasting healthy water. Some of our customers have stated this is the “most delicious” water they have ever had! 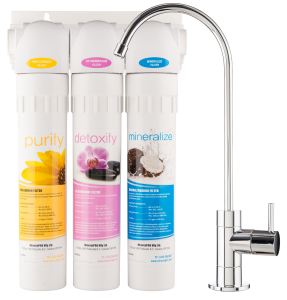 Connects easily to your kitchen faucet and delivers optimum alkaline, mineralized, great tasting, healthy water! 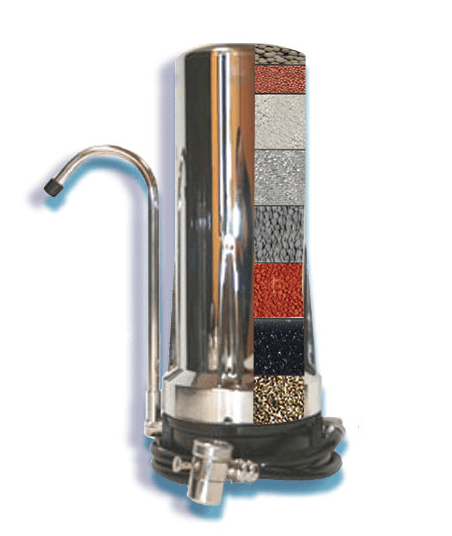 MineralPro’s Alkaline Booster Countertop filter is a complete filter system designed to connect on to your existing faucet and sit conveniently on your counter top next to your sink, no special tools or skill required to install. Great system for apartment dwellers or those not wanting to drill holes in the counter-top or make permanent connections, can also be used as a portable system. Available in a high quality chrome finish or can be ordered in white to suit your decor. 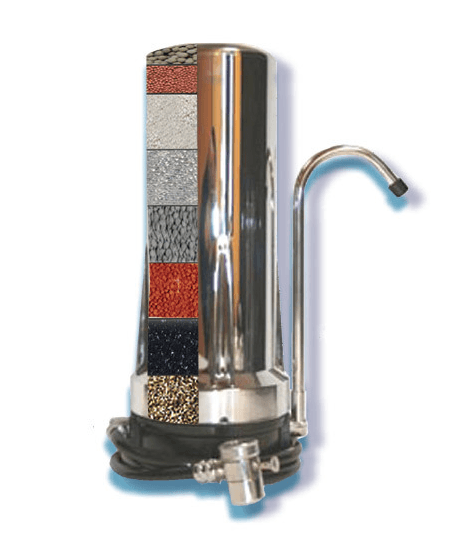 Filter consists of 9 stages of filter media, all NSF approved, and hand built in our factory in California, USA. Reduces Chlorine, heavy metals, organic material, lead, is antibacterial, and produces the best tasting hydrogen rich, mineral alkaline water you can get with a PH ranging from 8 to 9.5! Filters can last up to 12 months and are easily replaced. Great for drinking/ cooking needs and can also be used for making ice, tea coffee and any beverages needing water, and especially great with a shot of scotch!